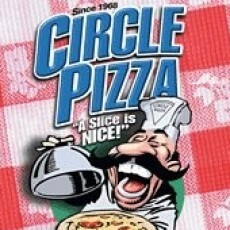 Circle Pizza is owned and operated by the Buchanans, decendants of Avalon's original pizza family headed by patriarch Mario Vozella. Mario's two daughters, Eleonora and Camilla, along with their husbands, Paul Buchanan and Joseph Damiri opened Avalon Pizza on 23rd and Ocean Drive in 1968. We have been serving the best piza in Avalon and Stone Harbor since then, and in Sea Isle in 2000. Our secret is simple. We start with the best and freshest ingredients, carefully measuring each one to ensure high-quality, consistency, and maximum flavor. We are constantly adding to the menu to keep up with your appetite. If you are ever unsatisfied, please let us know. Baking great pizza is a family tradition from the days when Grandmom Mary Vozzella (nee Mazza) made her square, finger-pressed pizzas on the cookie shetts in her Philadelphia kitchen for her 10 grandchildren. Over the years all of the grandchildren and their children, have been elbow-deep in pizza dough. Working in the restaurant became a rite of passage, where many a family memory was made. The "family" includes all the cousins and friends who worked with us over the years from the early mornings in the dough rooms to the wild and crazy late nights, managing the hungry crowds. The Buchanans would like to thank you on behalf of our entire "family" for choosing Circle Pizza and helping us to keep the tradition alive. We hope to see you again in the future. Remember, when you're hungry don't think twice....a slice is nice!